Searching for a sportive showstopper to crown your summer? Look no further than the Vitus Dragon Ride. With a choice of courses topping out at the 300km Devil, the Dragon has earned a place among the classics of the UK sportive scene. The 2019 edition takes place on Sunday 9th June. Early-bird entries close at midnight tonight - sign up at www.dragonride.co.uk. Tackle a classic: the Dragon Ride returns on 9 June. 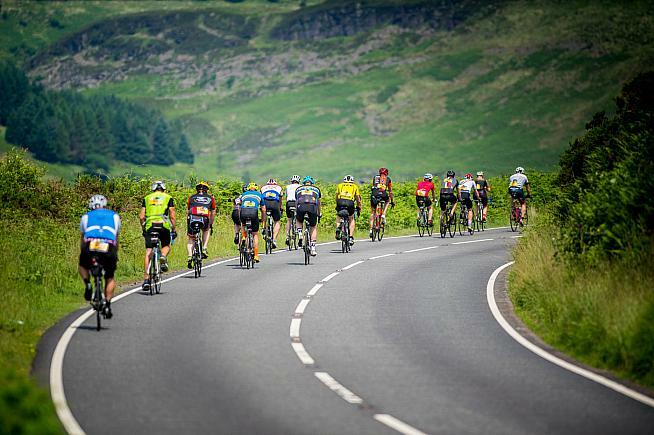 The Vitus Dragon Ride is known as one of the toughest sportives in the UK, with thousands of riders each year taking up the challenge to ride up to 300km in a single day. The course is spectacular, touring north through the unspoilt landscape of the Brecon Beacons via a testing series of mountain passes. If the Dragon Devil long course sounds a bit much, don't worry - the 223km Gran Fondo and 153km Medio Fondo pack in enough scenery and challenging climbs for anyone. There's also the MacMillan 100 course, a 99km route that features the iconic Bwlch and Rhigos climbs before returning back to the headquarters at Margam Country Park, near Port Talbot. And for those looking for the ultimate challenge, there's the Vitus Dragon Tour: a three-day challenge covering 500km over three stages, finishing with your choice of course on the Dragon Ride itself. It's a must-ride for any sportive enthusiast, so if you haven't yet ticked the Dragon off your list make this the year. Early-bird entries are open now, closing at midnight tonight (3 April). To explore the course options in more detail and book your place, visit www.dragonride.co.uk.